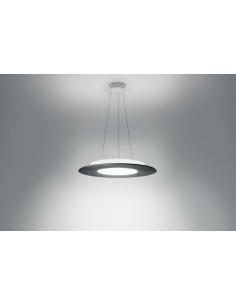 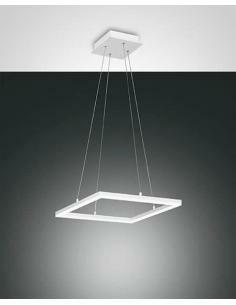 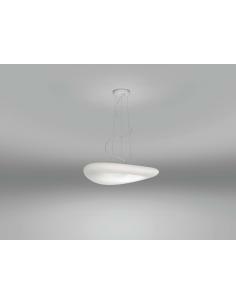 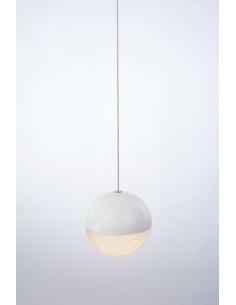 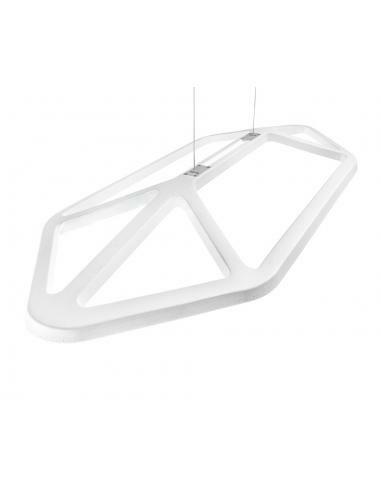 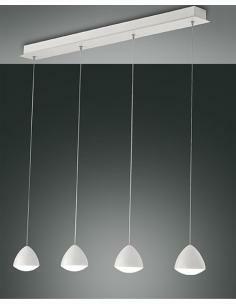 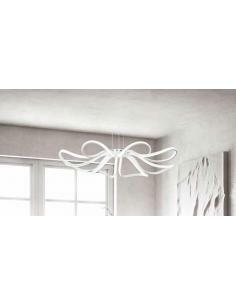 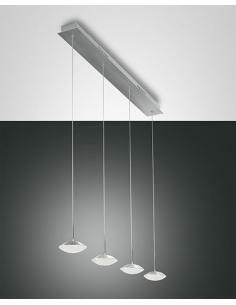 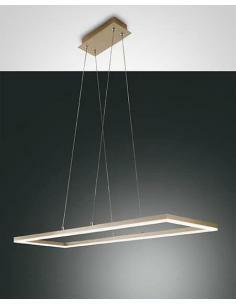 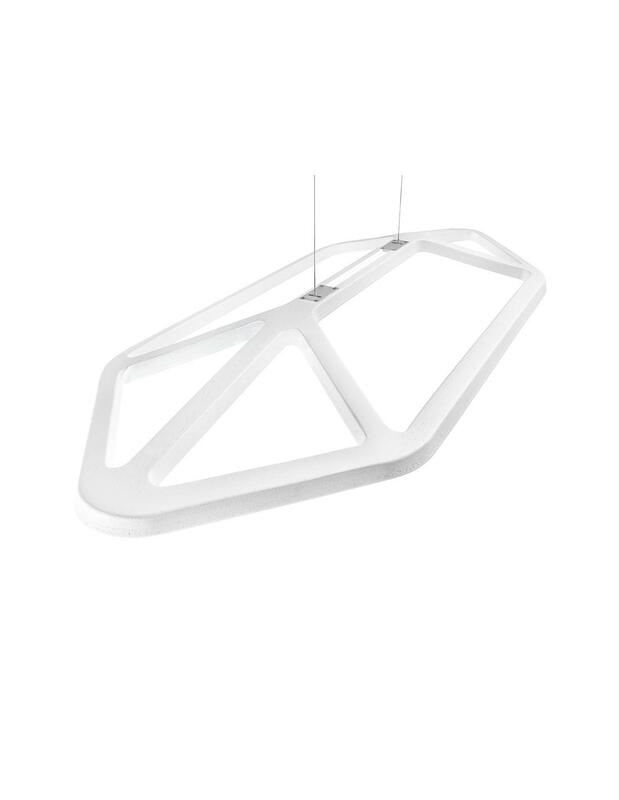 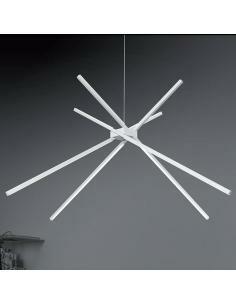 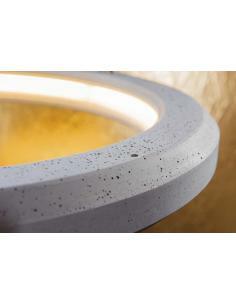 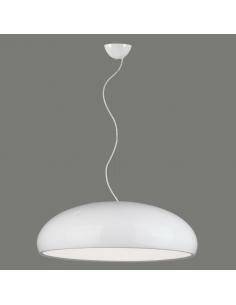 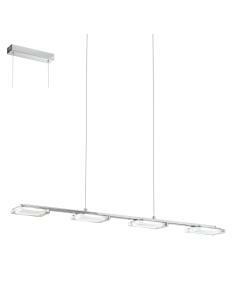 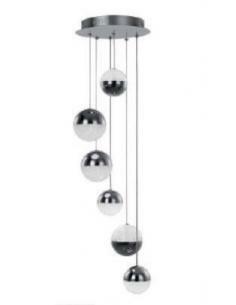 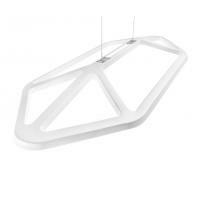 Suspension lamp with structure in wood "okoume plywood" painted in white "open-pore". 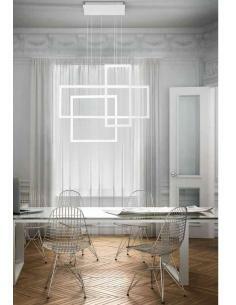 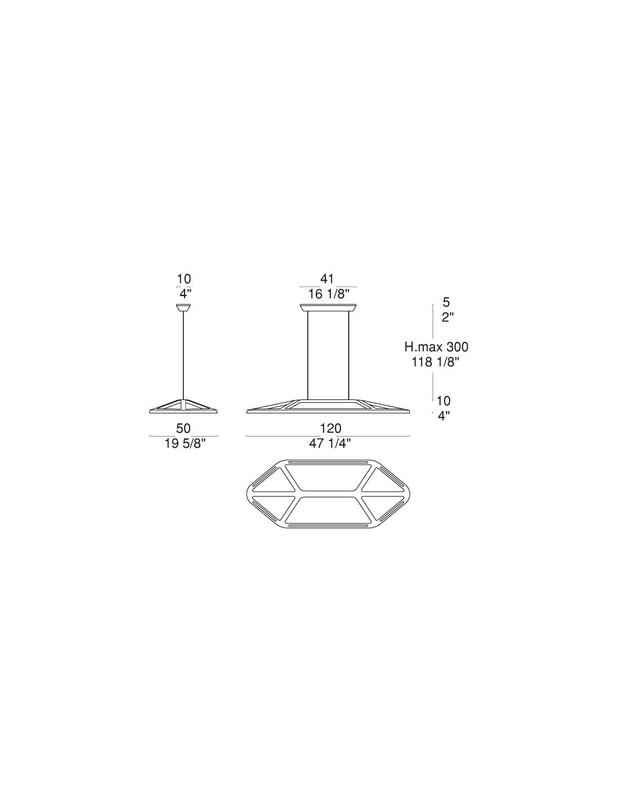 Screens polycarbonate diffuser, silk-screened in white. 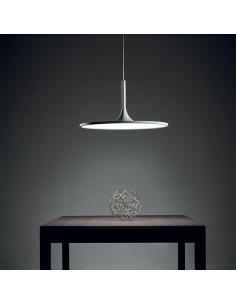 Rosette in wood in the same finishes of the structure and details in aluminium. 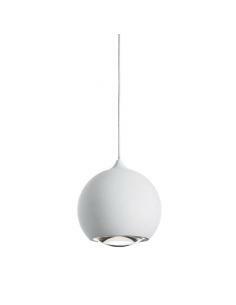 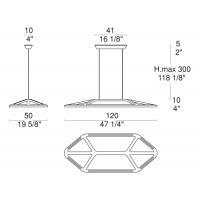 Dimmable with kit (on request).